Powerful. Easy to use. Radically helpful. 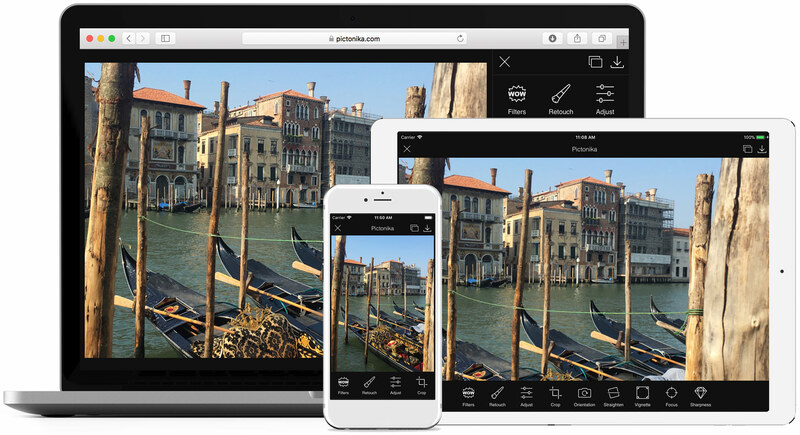 Pictonika is a photo editor that combines the most essential and the most important photo editing features making them extremely easy to use and radically helpful for you. It is no longer required to be an expert to create amazing photos and gorgeous selfies. Amazing colors More than 15 color adjustment tools will make a masterpiece out of any photo! And much more You will find everything you need to create a perfect photo in online photo editor Pictonika! With Pictonika all your memories will become more brighter and even more memorable! © 2017 Pictonika.com. All rights reserved.